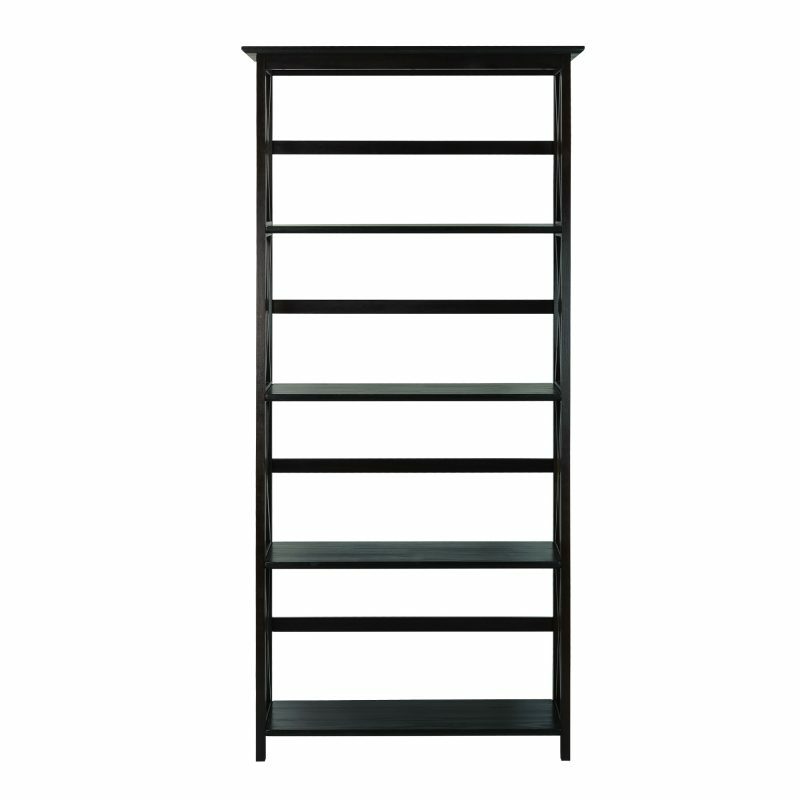 Storage with ease, this Montego X-Design style bookcase is constructed with solid wood for lasting use. 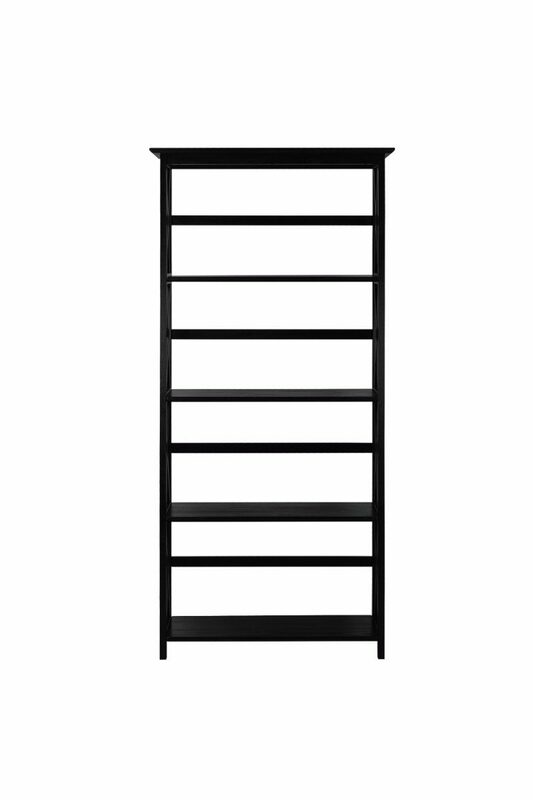 5 shelves provide ample storage space. 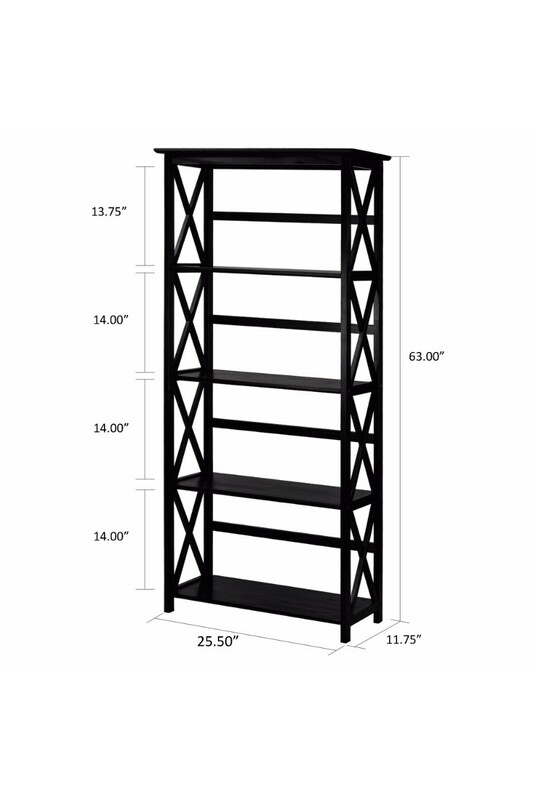 Thorough finish gives this bookcase a strong, contemporary appearance that blends. 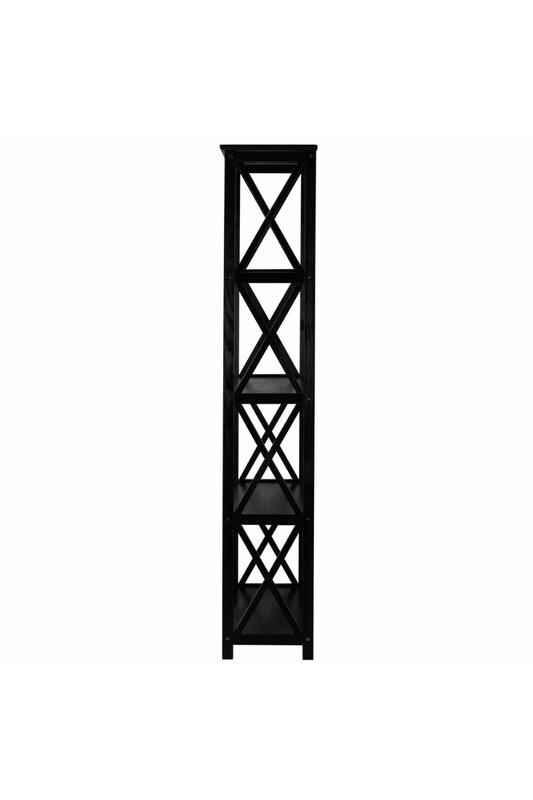 Perfect for home storage and decor. Storage with ease, this Montego Style 5-Shelf Bookcase is constructed with solid wood for lasting use. 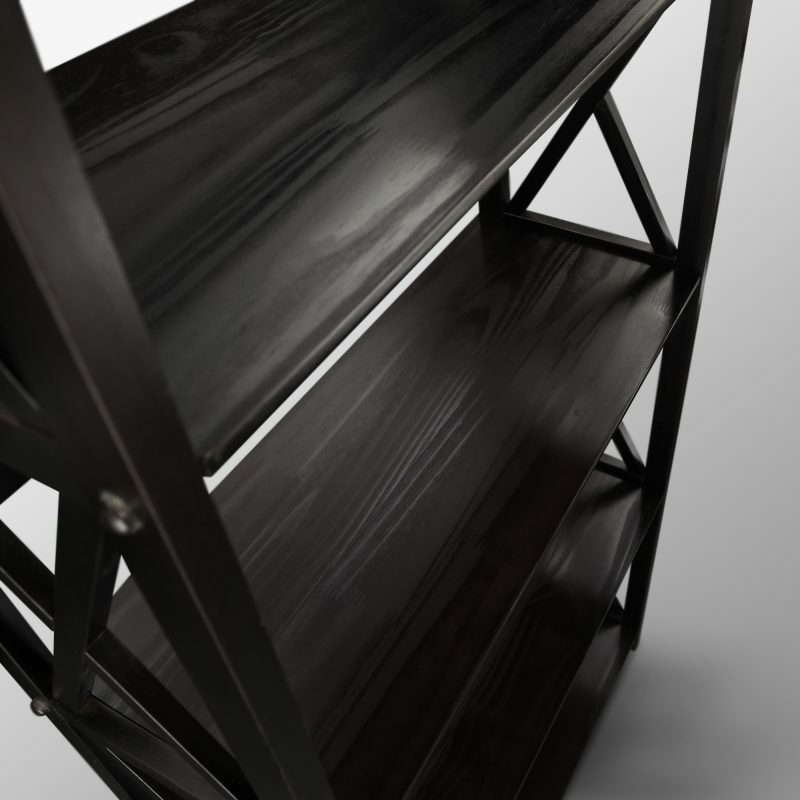 5 shelves provide ample storage space. 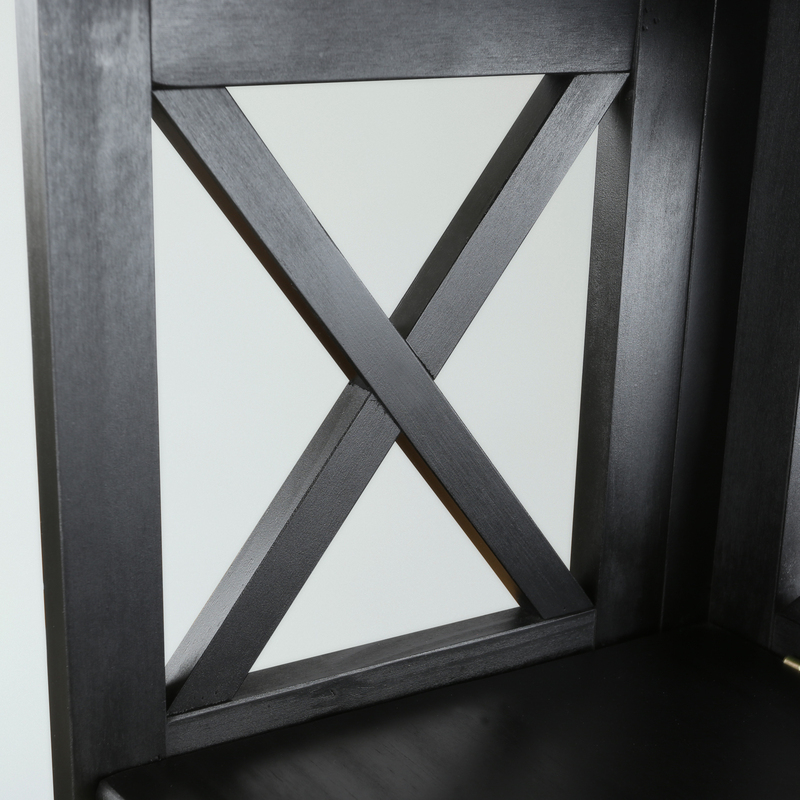 Thorough finish gives this bookcase a strong, contemporary appearance. 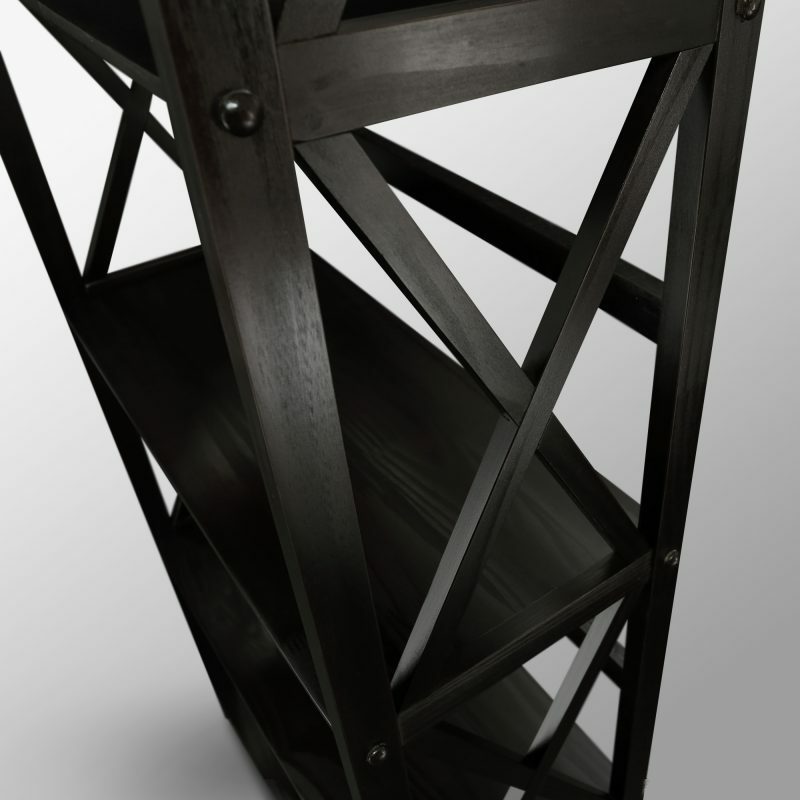 Perfect for home storage and decor. 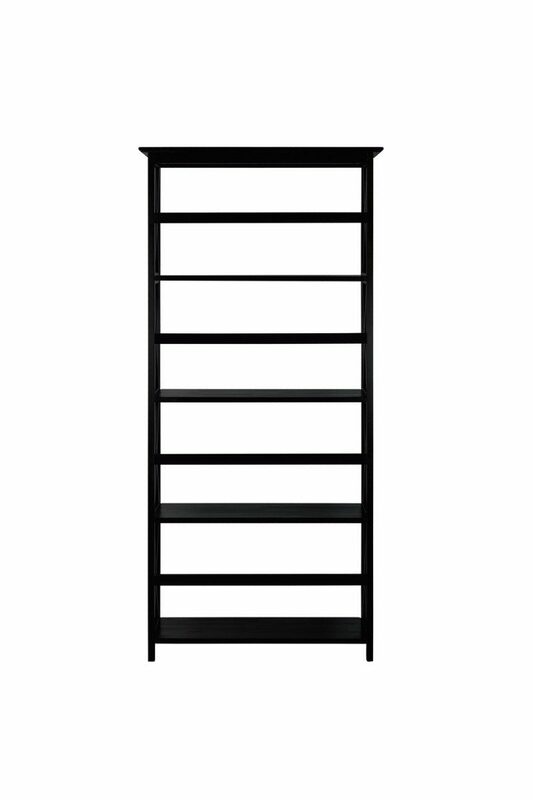 5 spacious shelves provide all the storage space you need. 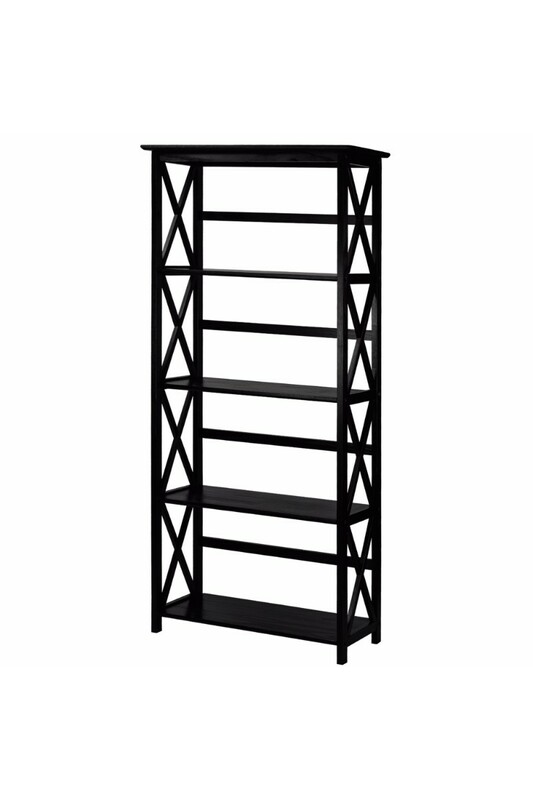 Contemporary x-design styling gives this piece a chic, airy look that prevents books from falling. 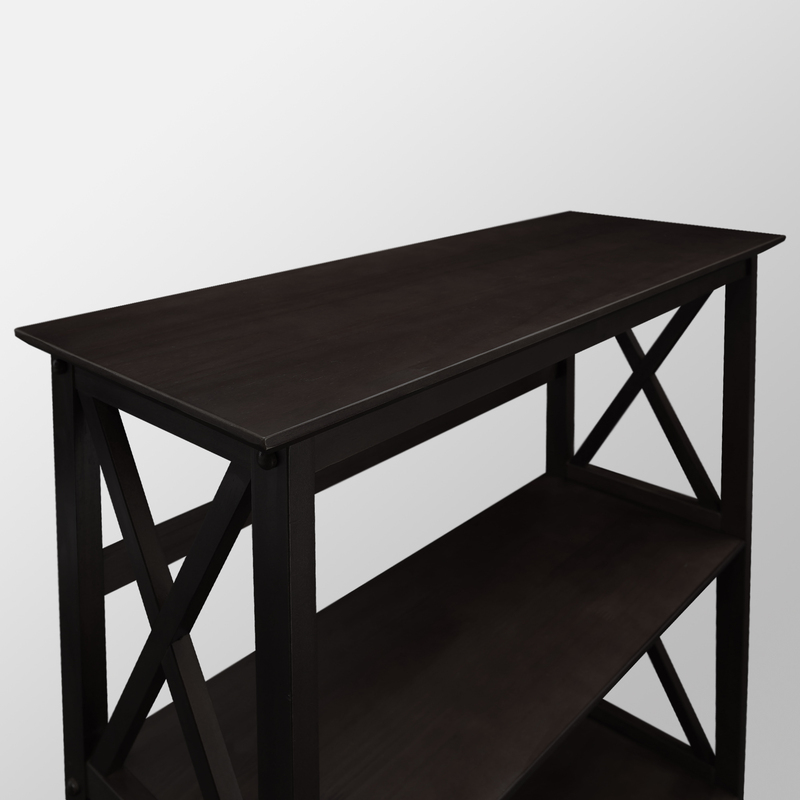 4 durable legs provide balanced support for your belongings. 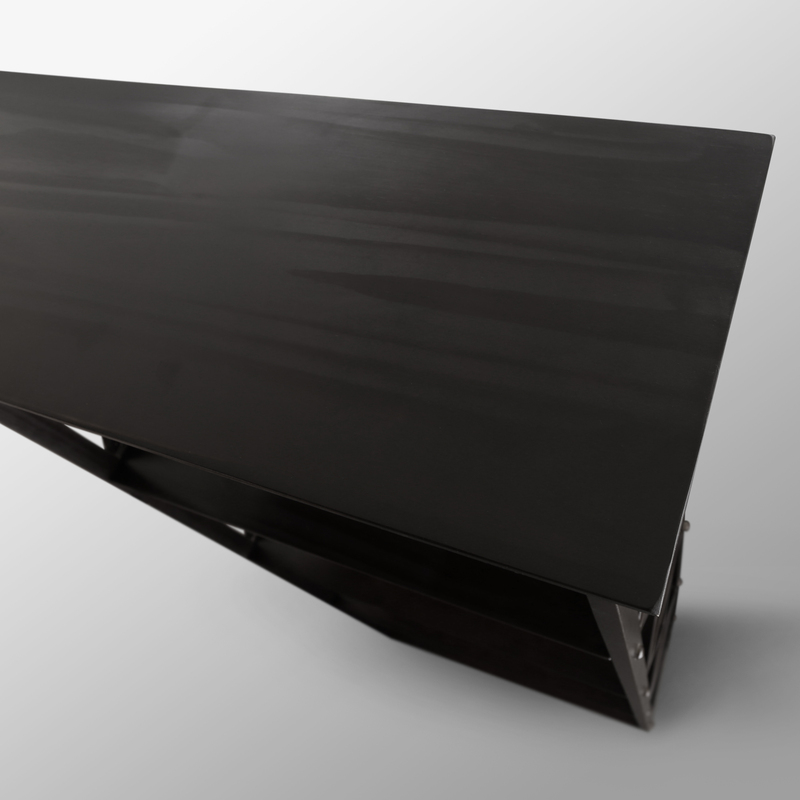 29.5″W x 11.75″D x 63″H, Weight: 27 lb.